Your roof is a vital structure on your home, and its integrity is essential to keeping your family and your property safe, secure and comfortable. Your roof is also a significant investment, and you naturally want to keep it well-maintained in order to lengthen its life and avoid expensive replacement and repairs as much as possible. Keeping your roof in optimal working order can be a real challenge in the often wet and windy weather we have here in the Beaverton, Oregon area. Good roof maintenance requires more than minimal attention. Some homeowners think that it’s sufficient to climb up once a year and spend a couple of hours sweeping accumulated litter off the roof and perhaps replacing any damaged or missing shingles. This is better than doing nothing, of course, but roofing specialists advise that every roof should be thoroughly checked out and cleaned at least twice a year, if the roof is expected to remain safe and leak-proof for its full lifespan. According to research, a roof will actually only last about half its potential lifespan — regardless of the quality of its materials and how well it was installed — unless it is properly and regularly inspected and maintained. Staying on top of regular maintenance and addressing weather-related issues promptly is key to minimizing problems, but working on a rain-slick roof can be particularly dangerous for non-professionals. This is why most roofing experts recommend that homeowners rely on experienced, knowledgeable local roofing professionals to deal with regular roof maintenance and repair issues. Some homeowners believe, mistakenly, that their roofs are completely protected and insured against wear-and-tear and weather-damage if their roof installer’s services included a long-term warranty. In fact, most of these warranties expressly state that they are valid only if the roof has received regular correct maintenance. 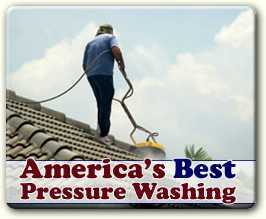 In most cases warranties are not honored unless the homeowner can prove that the roof has been well-maintained. Lacking such proof, if your roof is damaged — even if it is only a couple years old — your warranty probably won’t cover the cost of repair or replacement. 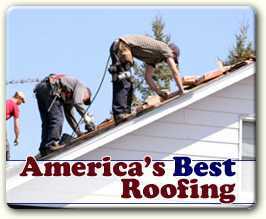 What should you ask before choosing a roof maintenance service? For your roofing maintenance needs, you will want to ensure that you are getting top-quality, reliable, professional services at a reasonable rate. You don’t want to just check the yellow pages in the phone book or google “roof maintenance + Beaverton Oregon” and then blithely choose the first name that you see. It’s not worth the risk of having this important job done poorly just to save a little time looking into your options and making an informed decision. How long have they been in business in the area, and can they provide references? What specific procedures are included in their routine services? What kind of equipment or special methods do they employ to detect problems or potential weak spots on your roof? Professional roofers often use specialized equipment such as isotopic meters, infrared scanners and meter that measure electrical resistance. What are their expectations for the homeowner? Do you need to provide access to electricity for equipment, etc.? Can you rely upon their response in case of emergency to promptly deal with severe storm-damage or other damaging events? When you find the right roof maintenance specialist who answers your questions clearly and honestly and gives you a feeling of confidence, you will be able to relax with the knowledge that you’ve got the right team in place to ensure that your roof and your home will be in great shape for many years to come.